The iPhone already comes with plenty of features to help you manage your schedule and stay on track. Pocket Schedule Planner lets you manage your courses, classes, and assignments. 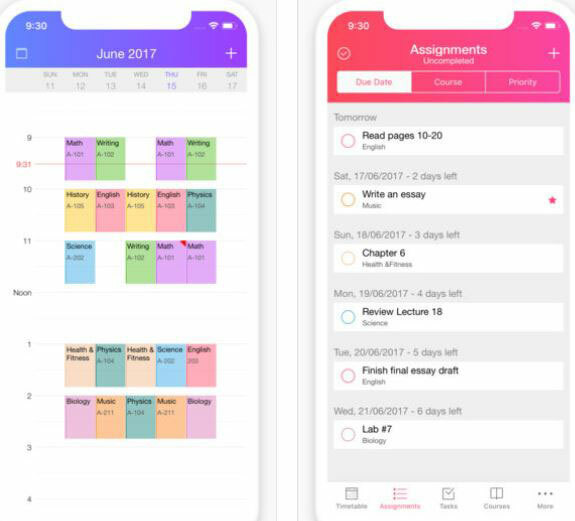 You can use it to keep your assignments organized by date, course, and priority. The app can handle different semesters and holidays. The Pocket Schedule app comes with icons to distinguish your courses. It lets you set notifications for your classes and each assignment. You get a quick view of everything in the Today View widget.